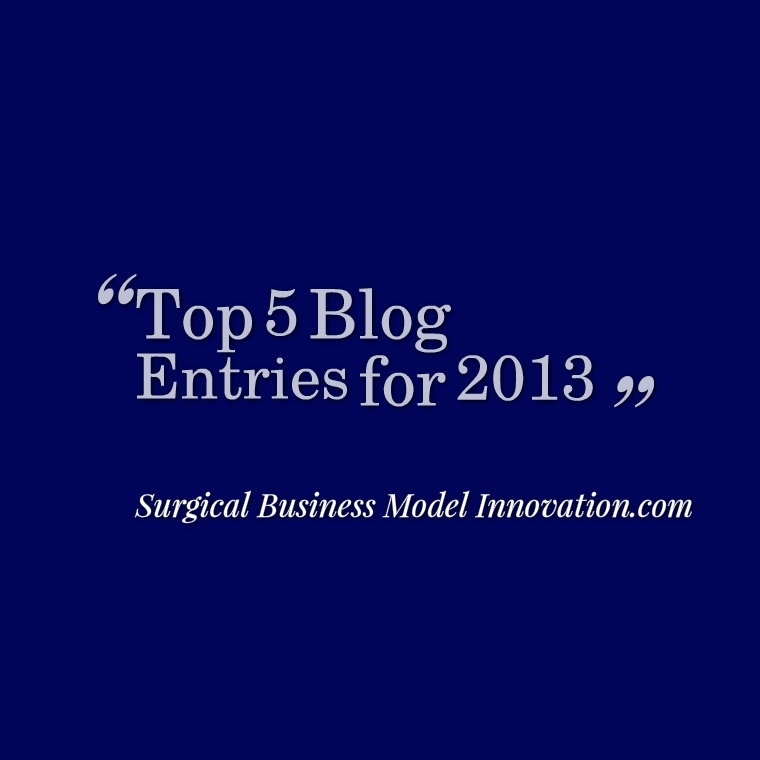 Here are the Top 5 posts from the blog for 2013. Here’s the answer to “why bother?” with surgical business model innovation. One of my favorite things to discuss with new startup teams is strategy. Michael Porter, from Harvard Business School, has nicely described several concepts that are integral to our understanding of strategy for an existing business, a new business, or business looking to change. Professor Porter has given us a framework called Porter’s Value Stream. If you haven’t heard of Porter’s Value Stream I invite you to take a moment to go to Wikipedia and look at this powerful concept. Porter’s Value Stream has several important consequences that can and have been leveraged to great effect. There are also unique facets to this concept that can give insight to the nature of our new business, existing firm, or other system and how it competes. For example, sources of competitive advantage may include the manner in which discreet activities in the value stream interface. 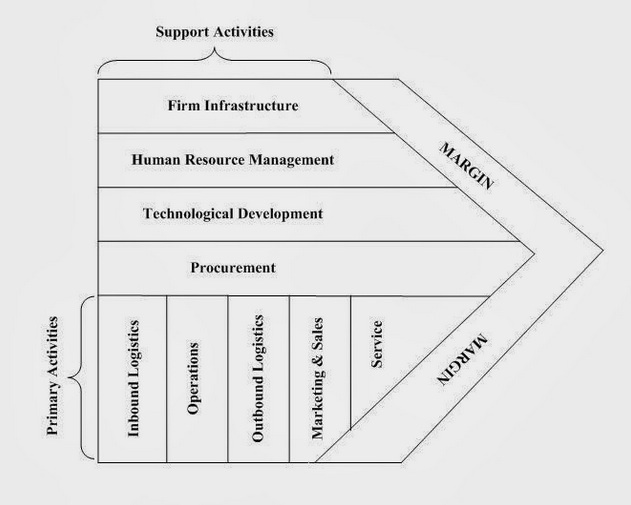 Inbound logistics is one of the first primary activities of Porter’s Value Stream. Inbound logistics refers to the manner in which we bring in a substrate to which we add value. The way in which we add value include our firm’s operations. Sources of competitive advantage may include the way in which inbound logistics hands the baton off to operations. A smooth transition in that area can be a source of competitive advantage. Similarly the way in which our operations fit into our outbound logistics may be a source of significant competitive advantage. Clearly Amazon and other retailers in their space draw a portion of their competitive advantage from their excellent outbound logistics and the interface between their outbound logistics and operations. Again Porter’s Value Stream is very key. This post builds on this concept of Porter’s Value Stream. In anther post we will discuss more of its specifics and consequences. However, here, I want you to recognize some interesting concepts around Porter’s Value Stream and how firms compete in industry. Take, for example, Disney World. You may have been to Disney World lately with your family. If you haven’t, I invite you to take a moment to just read up on exactly what Disney is doing nowadays. Disney and other companies like Apple have created an entire ecology into which the consumer fits. That is, many of us have experienced the feeling of being seemingly locked in to Apple or Google’s products because, for example, all of our music is on our iPhone and our iPhone interacts with our iCloud. Our iCloud gives us email etc. This “lady-who-swallowed-a-fly” scenario is no accident. Apple has created an entire ecology into which we fit and it is one that seeks to contain our spending habits. We don’t spend outside of the ecology because we obtain maximum value inside Apple’s ecology. There is no need to take the time to export our songs etc. Apple and other companies may even make barriers to exporting our music and other digital information so that we must stay inside their ecology. Clearly this is a situation in which the firm delivers maximum value not just with the classical concept of Porter’s Value Stream but, in fact, because there is an entire ecology into which they fall. This concept of ecological thinking or consumer ecological thinking allows us to open broad possibilities for business model innovation. Let’s return to Disney’s on-location operations at Disney World. Disney World is literally an entire world of consumerism. That is, they have the multiple theme parks, they have a resort at which you can stay, they have an entire down town shopping district and they deliver all of this in a manner which is value added. You need not rent a car to get from the airport to Disney…you can take the Disney Magical Express. The Disney Magical Express imports you into the ecology where you stay at the Disney hotel on property and take the monorail or Disney transportation to the various locations. You are encouraged to spend all of your money on Disney property in a clear Disney ecology. This is not to say this is a trap or is somehow bad or wrong, this is to say that Disney and other companies have set up a strong system that delivers maximum value within their ecology. Again, for Disney you need not rent a car or be bothered with any issues like that. Your luggage is whisked quickly and effectively from your arrival at the hotel to your room and Disney has many other value added systems they can run because of economies related to their ecology. It is truly an interesting concept. 3D printer manufactures like Makerbot realize their 3D printers are part of an ecology. So, when appropriate, they extend to supplying 3D scanners that interface easily with those 3D printers. Viola, building ecology. What are some ecologies that exist in surgery? Are there any places where the business canvas you’ve recently designed for a new service line may fit? In fact, there are ecologies that can (and do) exist in surgery and healthcare although it may feel unusual to think of things this way. When a patient enters the hospital there is an opportunity to create an ecology for the patients and their families. Although the primary activity of the hospital is delivering excellent patient care, there is an opportunity while the family is in the hospital with the patient to direct their spending toward add-ons related to their loved one’s stay. There is nothing evil, wrong, or malicious in this; it can be the provision of an excellent service and a real patient satisfier. Where charging $12 for a cup of coffee would likely be inappropriate, allowing a Starbucks or similar chain to rent space in your lobby (or setting up a coffee cart yourself) may be a nice value-add to the ecology of your hospital. Creating these ecologies can often occur in service lines as well. That is, vascular surgery may provide a free screening for peripheral vascular disease and thus import patients into their ecology. A patient now has contacted the vascular service, is known to them, and may come to feel comfortable with the advanced practitioner or surgeon performing the screening. It may become easier now that they know their way to the hospital or similar location to return to it for further care. These types of events are ways in which the ecology of service can be created. A trauma service may use the open abdomen technique when necessary and go on to perform add-ons for patients who require them. That is, they may then perform component separations etc where necessary. To be clear, I am not supporting doing procedures for patients who do not require them. I am saying that thinking of services lines as creations of ecology in which we can deliver maximum value is a very different way of thinking of business models but in fact these typically exist in healthcare. Again, just as Disney is seeking to do the best possible job and deliver the most value for the dollar, healthcare business model innovation can deliver the most value for patients or their families who need a given service, device or even a meal. So, next time you think of how you will innovate your business model, consider cases like these. 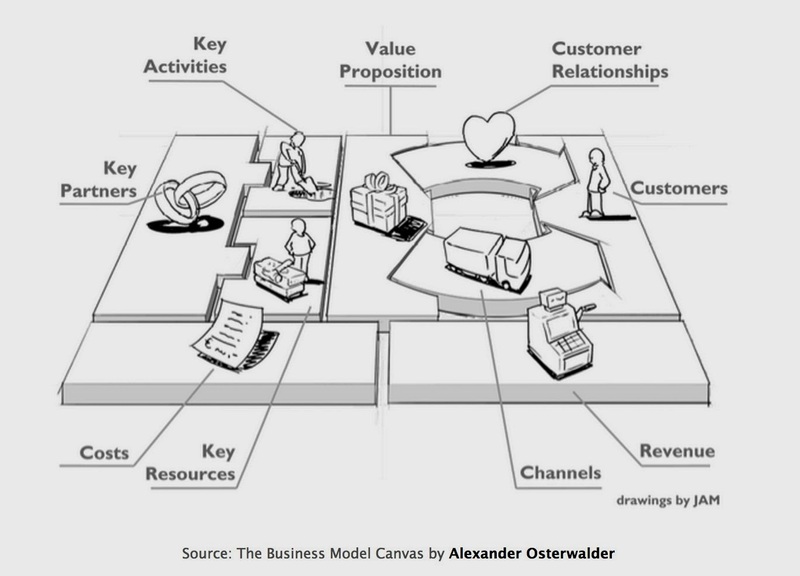 Innovating an entire ecology around the business model (including add-ons and additions) can often be useful especially after we have finished our business canvas and have a system that is running nicely. For more information on Porter’s Value Stream and business model ecologies, perform a quick google search and take a moment to review Porter’s Value Stream as it contributes to the margin we can obtain on different business models. One of the questions I often get from would be founders is ‘Where do I get the money to do my startup?’ This is an interesting question that has been covered in a lot of introductory business books and beyond. Here I will highlight some of the interesting facts about how to find and raise money to found your project. First, be aware that most conversations regarding funding result in a “not right now” or outright “no” answer. You need to get used to approaching people with your idea and having them not invest for one reason or another. These are often not commentaries on your idea, you as a person, or your talent. There are many things that go into the decision about whether or not to invest in a startup. We should also highlight that the initial money to fund a business model comes from a few sources including the classic three F’s: Friends, Family and Fools. This is a tongue in cheek way of saying that the initial funding for any business model is often extraordinarily high risk and that only someone who really cares about you or who is very foolish should invest in your new, unproven idea. Shows like ‘Shark Tank’ etc. highlight that business models that have income or demonstrable sales can be valued a lot more readily in different ways than brand new ideas with new, novice, or even an experienced team. After the initial business model is created and funded by the three Fs or even the founding team itself, there are additional sources of funding that can come in different rounds. One of the ways you can obtain seed funding for your business is with what’s called angel investors. 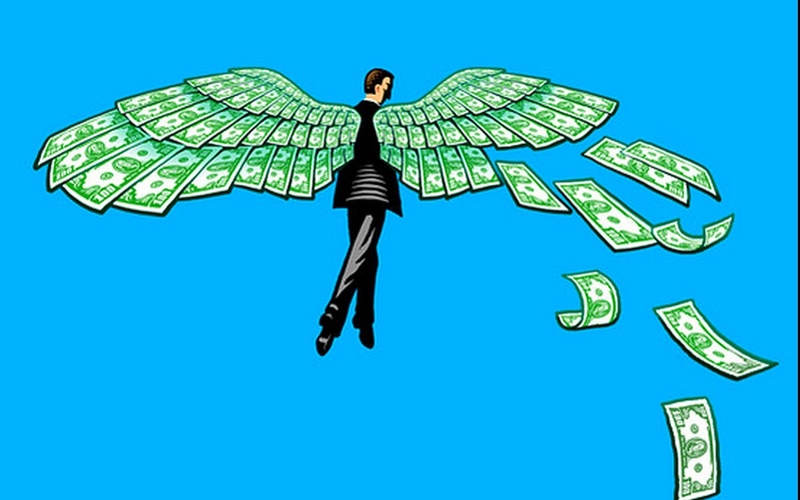 Angel investors are individuals or teams that provide seed funding according to certain criteria. Often teams have what is called an investment thesis. An investment thesis describes that team’s approach to investing, the niche in which they choose to invest and other important factors they consider when it comes to investing. In addition to the idea of an investment thesis, you may be interested to learn some factors that venture capitalist are well aware of. It is important to understand some of the interesting consequences of an investment thesis, whether that be for a venture capital (VC fund) or an angel investment team. There are other important facts as well. First, interestingly, 99% plus of cold calls, meaning deals that come to a venture capitalist or angel investor which are not referred to them by someone they know, fail. This is an incredible attrition rate and one well known to VC and angel investors. In short, if high quality deals are not introduced by people the VC team knows, there is already a known substantial failure rate. Next, interestingly, you may be surprised to hear that the vast majority of VC is in one of two geographic areas. This is the Silicone Valley area and the Boston / Greater Metropolitan area of Boston. In other words a great deal of the United States VC funding occurs in one of these two areas and of these two the Silicone Valley / Stanford area has significantly outnumbered the Boston area in terms of total amount invested and other measures like the number of startup boards on which a given venture capitalist sits. (Many VC team members sit on multiple boards.) These are indicators of VC activity and really highlight the geographically narrow venue for VC in the United States. Other centers are starting; however, these two comprise far and away the majority of VC in the United States. So, when you go to take on investors for your newly minted business, it is again important to realize that often their decision to invest or not invest is not a direct commentary on the quality of you, your idea, your team or your experience. Importantly, in fact the VC / Angel Investors decision is often contingent on their investment thesis. You may not be in the area of interest or expertise for the Angel / VC investor. They may refer you to someone who is. Again, remember, there is a great deal of failure before success when you are seeking seed or series A funding. Last, there are some interesting consequences to VC and Angel funding, which we could easily fill a book with. One of the more interesting ones, and least understood ones, is called liquidation preference. This is the manner in which venture capitalist or angel investor extracts their money in a so-called exit event from the company. An exit event can be, for example, when the company is purchased by another company. Purchases such as those constitute the majority of exit events. Then, what is known as the ‘stack’ gets executed. The stack, if you can imagine as a stack of a deck of playing cards, means the last round of investors are paid first from the top of the stack etc, down to the your initial or seed investors at the inner most layer. The manner in which payouts occur is called liquidation preference and there are many interesting factors in liquidation preference. Before you start a company and take on investors I encourage you to read and learn more about liquidation preference. For now, let me share that liquidation preferences often cause a misalignment between the interests of the investor and the initial startup designer and owner. Investors become part owners of the startup in almost every deal. However when an exit event occurs there can be significant misalignment between the investor-owner and the initial startup team’s interest. These may be owing to liquidation preference. Interestingly, the liquidation preference sometimes means that the investor owner would be willing to sell the company for a much lower amount than the initial startup team. Again, liquidation preference is often misunderstood and has significant consequences for eventual payout from the startup in the event of an exit strategy execution. For more information regarding liquidation preferences, exit strategies, and how these may impact your startup idea along with investor opportunities I would perform a quick google search and learn all you can. Specifically focus on terms like “1x”, “participation”, and “cap”. In startups I have helped perform we use multiple techniques to keep everyone aligned. These include some classic techniques like dynamic ownership equity and liquidation preferences that attempt to keep everyone’s interest in the company aligned, so the company can move forward as a team. These are just some of the challenges and nuances of startups and some of the ideas that make starting a business so interesting and so much fun. In the next blog entries we will describe other interesting facts about business model innovation and how to mitigate certain risks while accentuating the benefits of a startup. I would also add that one of the single most useful tools in business model innovation has been the concept of dynamic ownership equity. I first encountered this concept of dynamic ownership equity in a text by Noam Wasserman, from Harvard press called The Founder’s Dilemmas. For more information regarding tools to improve alignment in your fledgling business model I invite you to take a look at that useful text. Medicine is filled with the usage of the term “alpha”, especially in statistics and journal articles. Medical literature and literature across multiple disciplines often uses alpha to reference the quantifiable rate of a type 1 error. A type 1 error is considered, in a word, tampering. That is, saying that there is something wrong or different, and actively addressing the perceived issue when in fact there is no such issue, is a type 1 error. Again, if we were to describe a type 1 or alpha error in one word that word would be “tampering”; there is simply nothing wrong with the situation and adjusting it would be improper–but we commit a type 1 error when we doso anyway. There may be some confusion over the term alpha because there other usages of the term you may see online. Alpha is also used to describe the rate of return on a mutual fund in excess of the quantifiable risk inherent in that mutual fund’s distribution of underlying assets. Meaning the alpha can indicate the bang for your buck you get above and beyond the risk inherent in a certain investment. There’s an interesting investment blog called “Seeking Alpha”. In this entry we discuss alpha from the more common standpoint of tampering and its utility in making decisions. 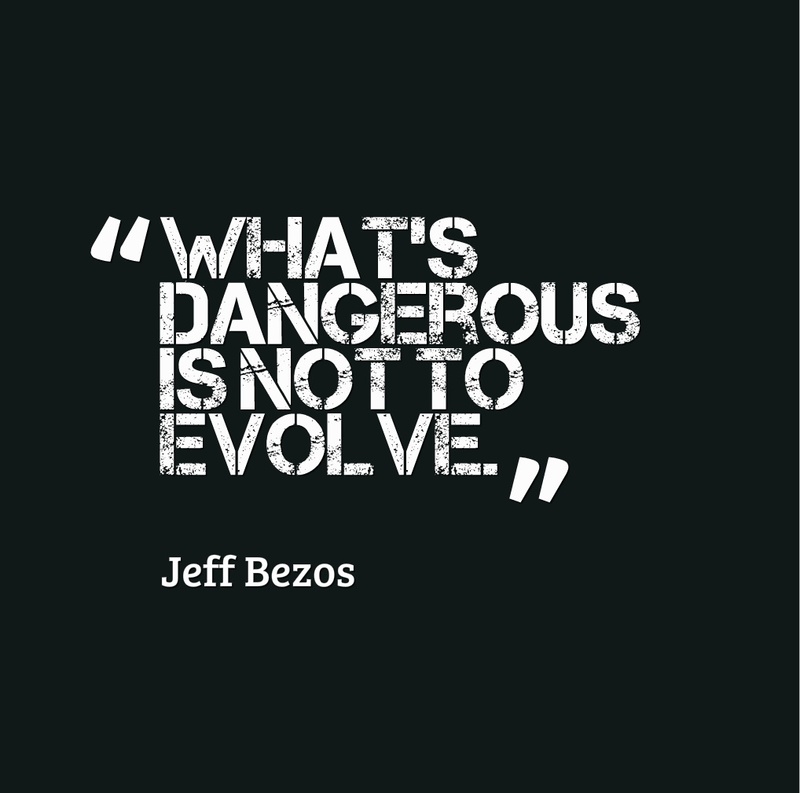 This is readily applied to how we develop new business models and how we re-work old ones. 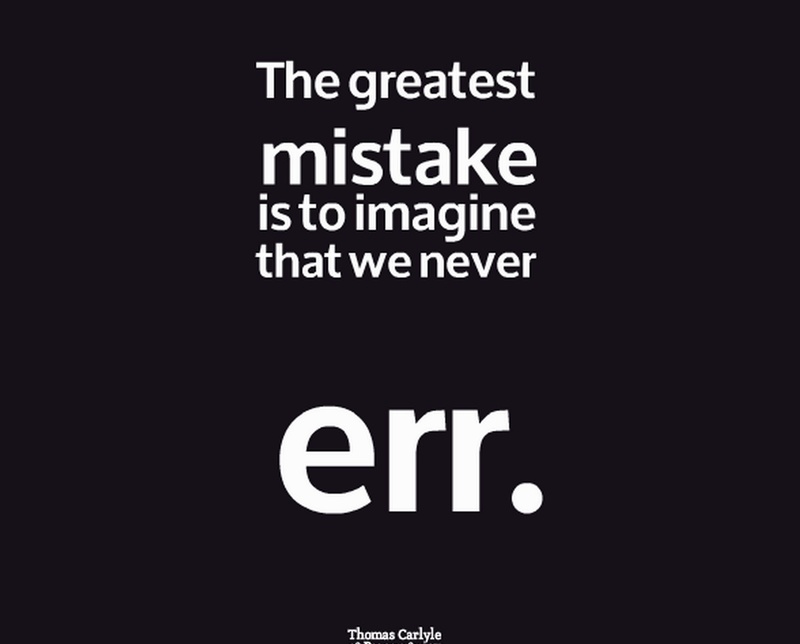 The importance of considering type 1 and type 2 error in medicine and in decision making can’t be overstated. A type 1 error, again placing a chest tube when in fact no chest tube is necessary, frequently has less harm inherent in it than a type 2 error which is under-controlling or under-recognizing a situation and not treating the very real issue. Telling a patient that they are fine only to have an issue later is clearly under-controlling or a type 2 error. Also, type 2 errors are often heavily focused on by the legal system. The legal system tends to really frown on type 2 errors. For that reason fluid, acute care and trauma situations are often very demanding in terms of decision-making. We often do not have enough data, time, or other information to know every direction a scenario can take. Despite the conditioning of M&M and the retrospectoscope (which often give the illusion of perfectly available information, etc.) we should take a moment to recognize the realities of decision-making as it progresses forward through time with the uncertainties the come from real-world sources. Of course, there is our years of education that encompasses multiple different scenarios and which can help minimize the unknowns. Nowadays it is more and more challenging to educate residents and fellows in the same manner in which many of us were educated. That means, it is hard to make sure they see every direction a scenario can go. That is, in part, because they have less hours spent in hospitals to take in all possible scenarios as residency classically teaches those points by a brute force methodology. I am interested in finding new and different ways to educate residents and fellows given the constraints on their time now, and thinking of type 1 and type 2 errors helps do that. Rather than lamenting the current state of affairs with medical education, I do feel this is an evolve or die scenario wherein we need to focus on new and better ways to ensure excellent patient care in the future via innovative techniques to educate our residents. I think one of these is explicitly teaching about type 1 and type 2 errors. Thinking of issues framed in terms of type 1 and type 2 errors is just one part of a larger framework that encompasses decision-making in uncertainty. Decision-making in uncertain situations can often carry a very negative connotation to physicians and surgeons. In short, we may have been educated with the philosophy of being ‘right, wrong, but never in doubt’. However, that focus on certainty etc. may lead us to immediately react, in my opinion, negatively to the term uncertainty. So let’s clarify: in this context “uncertainty” does not mean personal uncertainty on the part of the physician or surgeon. “Uncertainty” here means that we all recognize a scenario has multiple different ways it can progress. For example placing a chest tube when we think there is a pneumothorax can have several consequences. We can have been incorrect despite testing (pCXR) and with our exam that there was in fact pneumothorax. This is unusual but is possible. We may have a patient in PEA, or have a trauma patient “code” in front of us. We may feel placing chest tubes in those scenarios has little downside risk. However, we can have other issues with chest tube placement, including hemorrhage, diaphragm injury, abdominal organ injury and some of the other catastrophic and rare downsides to chest tube placement that we have all seen in our practice. So, what are we to do? Analysis paralysis is one issue that probably each of us has seen arise. That is a situation where all the multiple ways in which a scenario can unfold leads to us not making a decision. In my opinion, not making a decision is as important of a problem as making an improper or poor quality decision. In short, thinking of issues in terms of type 1 and type 2 error rate can help us frame and deal with the fluid situations that arise in acute care surgery, investing, and business model innovation. Further, we can use tools to quantify scenarios and make the best quality decisions we can despite probabilistic influences. This type of advanced decision-making is not typically taught in medical schools of reinforced in residency. However, seeing it, and using it, can be performed on a daily basis given the multiple decision tools that exist. Further, we can always utilize the framework ahead of time to formulate high quality decisions based on different scenarios when they arise. The concepts of type 1 and type 2 errors are useful mental tools to frame just what to do in trauma, acute care, investment, and other important high-stake decisions in our lives. I invite you to read more about type 1 and type 2 errors at your leisure and have found this personally to be a very useful tool for my clinical, investment and general decision-making toolbox. 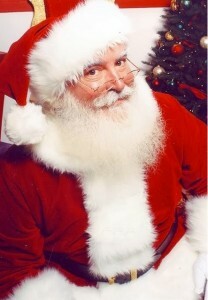 For Mr. Kringle, starting up a global manufacturing and distribution network in 2013 would be challenging. Looking back on his success, a nice instance of where success is not defined by income by the way, it is easy to imagine that Santa’s service emerged fully formed and streamlined. (If by streamlined we mean hand-delivering all toys from house to house the world over while relying on flying reindeer who are, no doubt, apt to get sick and / or just not fly.) Lean startups leverage a sophisticated understanding of how to start a company in order to get things done. Nowadays, no doubt, Santa would startup Lean. Although Santa’s team has deep roots in history, the lean startup does not. The lean startup is a relatively recent phenomenon that conjures thoughts on a certain attitude, philosophy and tool set for how to start a business both effectively and quickly. Three of the most important tools of the lean start up include the business model canvas, the minimum viable product and an iterative approach to the business model along with number 4, customer development. These modern tools would have helped Santa quickly determine whether people liked his service & products. He would have learned quickly what to focus on even if his market changed. Santa may have used the business model canvas and the concept of the minimum viable product. We spoke before about the business model canvas and we have also described the concept of the minimum viable product (which is a product offer that has the least amount of features a customer will purchase). Perhaps, for example, children would have accepted receiving gifts over two, three, or seven days instead of all in one night. This may or may not have made life easier for Santa. Again, do children need Santa to deliver everything himself? Who knows now, yet at the beginning Santa could have learned what people would accept and what he could create most easily. Let’s focus on the idea of the minimum viable product (MVP) more closely. The MVP is a useful concept because it allows you to iterate the product quickly, it is usually more straightforward to build or create as it has less features, and it helps you test the market in a rapid fashion. Santa could have learned a great deal from his Lean experiment. Before Santa built toys to spec and delivered them all in one night via reindeer (and often chimney), what child could have even imagined such a thing? There is a classic line from Henry Ford that is if he had “asked their customers what they wanted they would have said a faster horse.” This indicates that, sometimes, the market doesn’t know exactly what it wants until it sees it. Santa could have developed the demand for his service and perhaps spread across the world more quickly. It is just that customers in the market have points of pain, issues, or other things they need satisfied. They will tell you soon enough if your product helps ease their pain. One of the functions of our team of angel investors is to give some guidance on some other unique tools that can really lean the process for you to get your business. We have a series of several steps that are changed depending on your unique business idea and model. We have both established and new businesses benefit from these steps, and we have mapped out certain tools that can also eliminate completely sources of overhead that can be barrier to your startup. Who knows if our experience could have helped Santa–after all he did very well on his own if we measure by market share alone. In the end, Santa may have been able to utilize modern tools of the startup to great effect. Using a business canvas and MVP, he may have been able to learn that there is no need to push his reindeer so throughout one night once per year. Perhaps he would have used another service or independent contractors to help make deliveries. However, as historians will tell us, it is often unfair to use modern knowledge to criticize the ancients–after all they did very well with what they had. So it is with Santa: even though he may have a different model if he had used the Lean startup tools, he’s done very well for us all. To read more about Lean startup tools: on the main home page, click the plus sign and select from the archives. If you have a moment and interest, go back and review the first blog entry in the series that highlights the business model canvas as an effective way to create and iterate your business model. Two of the most undervalued tool sets in healthcare are the Lean and Six Sigma tool set. We hear the common refrain from physicians, nurses, and healthcare workers that Lean and Six Sigma tools, along with other statistical process control tools, are not useful in service industries–particularly not in healthcare. In our experience, this isn’t correct. Often, healthcare workers are not trained in these tools and therefore find little value in them. However, in our experience, with training and understanding healthcare workers find these tools just as useful as the broader audience that uses them frequently. In fact, many of the tools for which healthcare workers are looking to articulate certain words or ideas are already worked out in the well-know tools of statistical process control. These can be quite valuable in healthcare and other service lines. Our team has experience with turnarounds and realignments in more than five trauma centers where we have found the Lean and Six sigma toolset to be invaluable. We often have to change the moniker associated with this set of tools so as to avoid being too off-putting towards our healthcare colleagues. Sometimes we call them “statistical process control” so that there’s less pushback caused by use of the term “Lean” or “Six Sigma”. In fact, some colleagues have a term for the type of deployment where we avoid “Lean” and “Six Sigma”–those deployments get called “stealth sigma”. It’s only natural for us to be biased and a little evangelical. After all, several of us are Master Black Belts (degrees of Six Sigma education have names that sound like karate belts) in Lean and Six Sigma. We are accredited by various bodies throughout the United States. Until we learned these things, we didn’t understand that they yield an ability to improve healthcare. Here, allow me to stop testifying and to start telling you some of our experience as we focus on two useful Lean tools. A healthcare system was having issues with stressed workers and backlog. The concept of takt time was easily applied to demonstrate issues with the system. Takt time represents the drum beat of a service line. Another way to describe it, and one we often use with healthcare workers, is as the heartbeat of their patient. The takt time is the time required to produce one unit of whatever the service line is producing. This can be a patient admission, a surgical procedure, or something similar. Takt time is an average and of course there is variability of the rates of production in practice. However, takt time gives us an idea of what the drumbeat of the situation should be based on customer demand. Takt time can be determined as the total available time to work divided by the demand for a situation. That is, if, after breaks and other issues there is one hour available available in a day to actually do work and there are three patients that usually show up to the hospital (the demand on that system) in that hour to be admitted, the takt time for admissions is one third of an hour per every admission. Said differently, it’s 1 hour available to do admissions / 3 admissions to be done. This is one third of 60 minutes or approximately 20 minutes per admission. Concepts like these give us an idea of what the drumbeat of the system needs to be. We can use takt time in many ways. One of the most useful ways is to pair it with a visual diagram of the process. 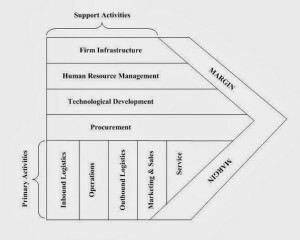 This type of diagram is called a value stream map. Value stream mapping is very useful to better understand processes and services. We can get a sense of what the drumbeat is in our organization and, based on mapping out the times associated with different portions of our value stream map, we can figure out how long it actually takes us to produce one unit of whatever we are trying to accomplish. We can compare the two. A value stream map gives us an idea of how the speed at which the process usually performs compares to takt time. If takt time is 20 minutes per 1 admission, yet it usually takes us 40 minutes per 1 admission, we probably need to look for where we can cut wasted time and improve the process speed to be closer to takt time. 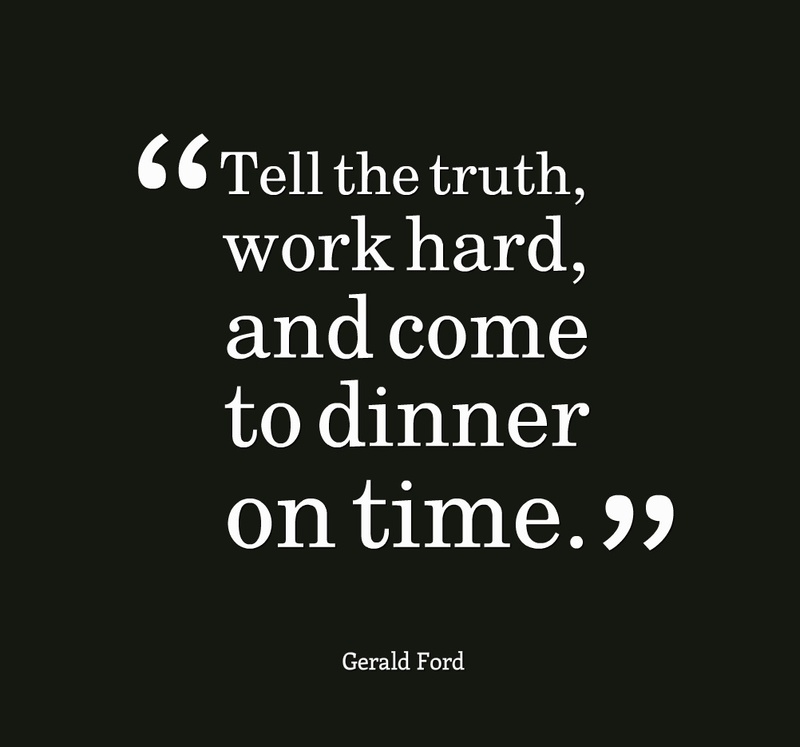 We can then see if there are discrepancies between our takt time, which is the drumbeat required, and our actual time to produce what we are trying to produce. Another useful consequence of the value stream map is something called value-added time. A troubling statistic often taught in Lean and Six sigma courses is that, in most systems, only approximately 1% of time used in the system is spent adding value to a product, service or patient. The “what adds value” is defined as that benefit or item for which the customer will pay. In healthcare there are some special issues in application of this definition. For example, who is the payer in the situation? When we say value-added time as anything for which the customer will pay, who is the customer? We usually use a third party payer’s perspective as the answer for “who is the customer” because they are usually the ones actually paying for the services and systems. Rather than talk about who should be paying for services in American healthcare we, instead, focus on who does. In this respect we treat the third party payer, the source of funds, as the actual entity paying for use of services. This also has some interesting consequences. The third party payer, in fact, bases their payment on physician, surgeon or healthcare provider notation. In fact what they actually are paying for is the tangible product they see which is the note. Again, the note the physician, advanced practitioner, or healthcare provider supplies is what the third party payer reimburses. In fact, they also use that as a rational to decline payment. Consider how, if we gave a service but didn’t write it down, we would not be reimbursed. This is part of how third party payers control costs whether they mean to or not. We may have done several procedures, yet it is unlikely we would be reimbursed if we didn’t write down exactly what we did with clear and often exact documentation. The note is the product for which the provider is paid. Of course, without rendering the service there can be no note. We feel strongly that it is improper (to say the least) to write a note based on the services or procedures that were not performed. This is likely fraud in most cases and we are concerned about this. We do not suggest writing notes on patients for procedures or care that was not delivered. However, we acknowledge, in fact, a strong focus on the value chain for healthcare needs to be on the production of a medicolegally compliant, provider-protective, and exact note that satisfies the ever-increasing regulatory requirements of third party payers. That said, at the end of the day, what third party payers pay for is the services given as represented by the note. The fact that only about 1% of time in a system is value-added time is often interesting and counterintuitive to the project group until they see the numbers. Once the amount of non-value added time is established and made tangible it becomes much more straightforward to reduce this time. It is useful to reduce non value added time because much of non value added time is waste. There are exceptions as you can imagine. (Sometimes one process has to be completed in preparation to allow a value added step later.) However, making the amount of non value added time crystal clear, tangible, and visible on a value stream map greatly improves processes and consensus building among healthcare providers, nurses and other allied health practitioners. We suggest, in our practice, to focus on these two tools as important adjuncts to process development. Again, takt time gives us a sense of our patient’s heart rhythm and we can often see how our processes are functioning relative to this concept of takt time. For more information regarding takt time, value stream mapping, and value added time we invite you to visit Wikipedia or a Lean Six Sigma site after a google search. Remember, to all our friends in healthcare: we’ve been there and feel your pain. We are surgeons, advanced practitioners, and nurses too. Let us tell you: the tools for which you are looking, or the ones you are re-inventing, have already been worked out and are called Lean and Six Sigma. Feel free to borrow our wheel anytime rather than working out how to build your own. There have been multiple military thinkers through the ages who have greatly influenced modern thought on strategy in warfare. In this entry we do not discuss the competitive nature of the firm in industry as if it is war; however, we, instead, turn towards some of the greatest thinkers of military strategy to try to learn some useful lessons for how we compete and form strategy as a business or new startup business in the modern day. Our investment team has found these ideas particularly useful as we evaluate the ability with which a firm can compete amidst the uncertainty of changing markets. One of the most classic military thinkers is von Clausewitz, who eventually became a Prussian General. Prior to becoming a general he wrote a classic treatise named On War. Von Clausewitz clearly described several things that deviate significantly from thinkers prior his time. Many thinkers prior to von Clausewitz had espoused more of a technical, almost proscribed approach to war-fighting. Von Clausewitz, among other things, introduced many important tenants of war-fighting that have made it to the modern day. One thing that was very different is what von Clausewitz did not do: he did not seek to make a cook book for how to fight successfully. Rather, he described over-arching philosophic and process-type issues that allowed for effective war-fighting. Perhaps von Clausewitz’s most often-cited ideas include war as a continuation of politics, and the idea that it is (in general) easier to defend a position than to attack one. From von Clausewitz, we take several important lessons: first, it is challenging to adopt a new position. Once a team has a position in a market, however, it is easier to defend than to “attack” a new one. This does NOT mean a firm should never change its position, yet indicates it should evolve carefully when it feels it is time. (We feel first should be looking for innovative changes that give long-term returns.) Please realize, however, that easy does not always equate with successful or desirable. Also, von Clausewitz helps remind us that healthcare startups, and others, must have a good reason to be bothered starting up. Going for a new position in a market will be challenging, and the effort to do so must always be subservient to some plan just as the horrors of war serve the end of politics. In any event, von Clausewitz helps us remember that the “getting there” is challenging and must serve some higher purpose. Once a team gets there, it will be easier to defend territory, although again we caution against complacency. Now, let’s transition toward more modern war-fighting theory such as that described by John Boyd. John Boyd was a United States Air Force pilot who helped contribute to a manner of approach in dog fighting and other conflicts that lead to a great amount of success with the F series of fighters. In short, per my rudimentary understanding, the F series of fighters was, in many ways, felt to be technically inferior to the Russian MiG owing to certain characteristics of the F series itself. However, with Boyd’s direction this concept of being able to ‘turn under power’ had been designed into the F series and became key in the United States Air Force designs and implementation. Although the F series may have lagged in classic measurements of fighters, its ability to maintain thrust and TURN to adopt the best attack angle made it highly effective in combat. This idea of turning under power directly affects our thoughts on firms and industry. A firm must continue going forward and yet be nimble enough to take the best angle of attack. A team must be able to pivot. This is key in startups: turning while remaining moving forward, or turning under power, is a key characteristic. John Boyd, however, went one step further and described what has been called the OODA loop. The OODA loop describes a light, flexible pattern of war-fighting in which first a participant must Observe a situation obtaining observations accurately. Then, these must be passed through filters including education, cultural background, and the different elements that compose that person’s background as the person or entity Orients to the situation. That means they must understand where and how they fit into a given the situation as individuals. Next, they must appropriately and quickly come to an effective Decision. It is not enough to come to a decision quickly; the decision must also be as accurate as possible given the background of the situation. Last, the person must be able to implement this decision in a rapid tempo fashion so as to effect the other participant in the struggle, conflict or market. In short that person must Act. Results of the action and the updated situation then feedback to the beginning of the loop. In our angel investment practice, we found that using the OODA loop as a shared mental model for certain aspects of competition to be very key. We talked in an early blog entry about Blue Ocean strategy. Here, however, we describe the importance that is to be allotted to this concept of a decision cycle. The Boyd loop tells us several important things. First, the Boyd loop is a useful mental model to describe the importance of the decision cycle as a means of competitive advantage. When another firm, an enemy, or another participant makes decisions more slowly than our team this can be a source of advantage for our team. That is, when we ‘operate inside the decision loop’ of the other side we find this is very effective in competitive strategy. Making decisions more quickly is not the only source of competitive advantage. However, it can be done to great effect as the opposite side or sides feel like we are the tempo setter for an industry and that they are rushing to catch up. Eventually they may feel like they are following in our wake no matter which direction they turn as we operate inside their loop. Besides simply decision time we also focus on accuracy in decisions. It is not enough to make a poor decision quickly. Instead, we focus on making the best decision we can amidst uncertainty. This uncertainty is a key feature of the process and has been described by military thinkers such as Marine General AM Gray in Warfighting as the ‘fog of war’. The fog of war is a useful term that describes uncertainty in fluid, unique situations that arise as part of competitive strategy. Beyond the fog of war we focus on the concept of friction. Friction, here, refers to those small impediments that, when summed, make it more challenging for us to impose our will on a situation. The minimization of friction, coupled with effective decision making in uncertainty, is a hallmark of high-performing teams in our estimation. In fact, we found that teams that actually need to communicate verbally or in a written manner to be less than the most effective. Communication based on the team’s intent, or so-called implicate communication is a hallmark, in our opinion, of high functioning teams. 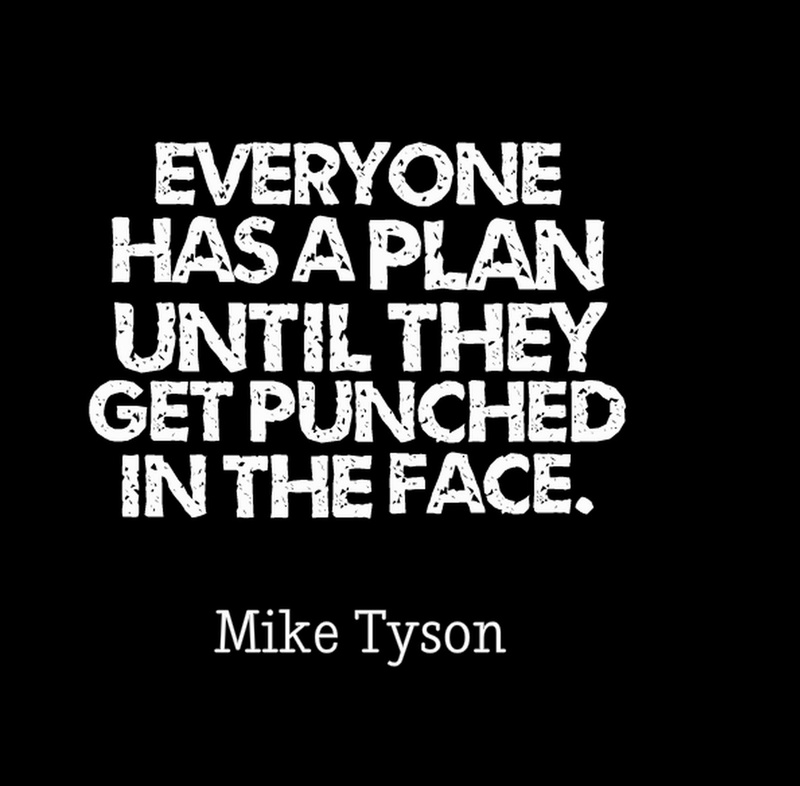 Each team member knows what plans can be executed in different situations because they know the team’s intent. Rather than over-communicate about each small item, only large items are communicated and even those are minimized. Everyone knows which way to row and doesn’t have to make decision cycle time longer by stopping to ask questions about each ripple in the water. Given that, team members need to say very little to be very effective because they share the same mental model and are on the same team. In short, we have much to learn from some of the classic military thinkers regarding competitive strategy in our market. We have chosen several distinct elements from some of the great military thinkers that describe modern war-fighting, decision cycle, and friction amidst uncertainty. One of the most important things on which we focused in our practice is this concept of decision making amidst uncertainty. The ability to make high quality decisions in a rapid, effective manner, despite red herrings and other fog of war is key for success with your new business model whether that be in surgery, healthcare, or another field.